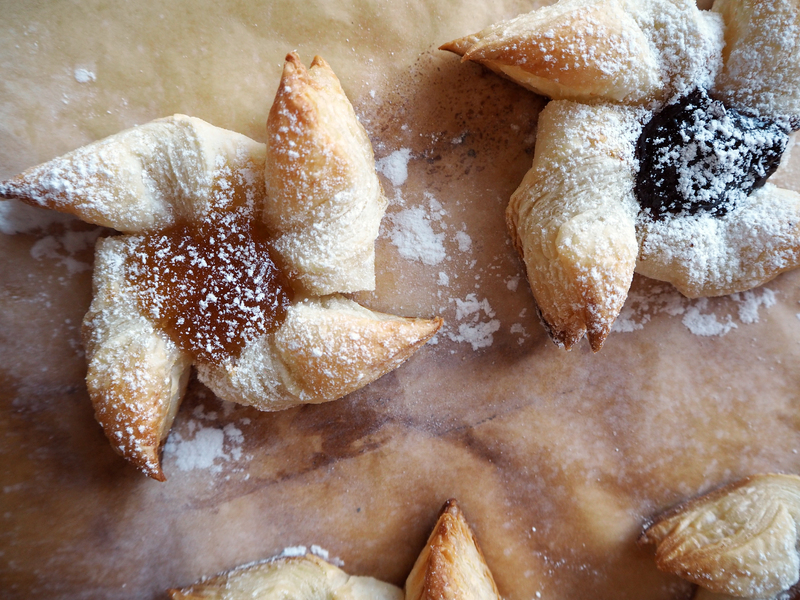 I chose this pastry as my first Christmas related recipe because it is beautiful and tasty but also probably one of the easiest pastries in the world to bake. My relationship with Christmas has close ties with Finnish cuisine as I have become a regular part of “Joulu” (Finnish word for Christmas) only after I came to Helsinki (years ago when I was living in Paris I had Christmas mood too but then I spent it by myself). 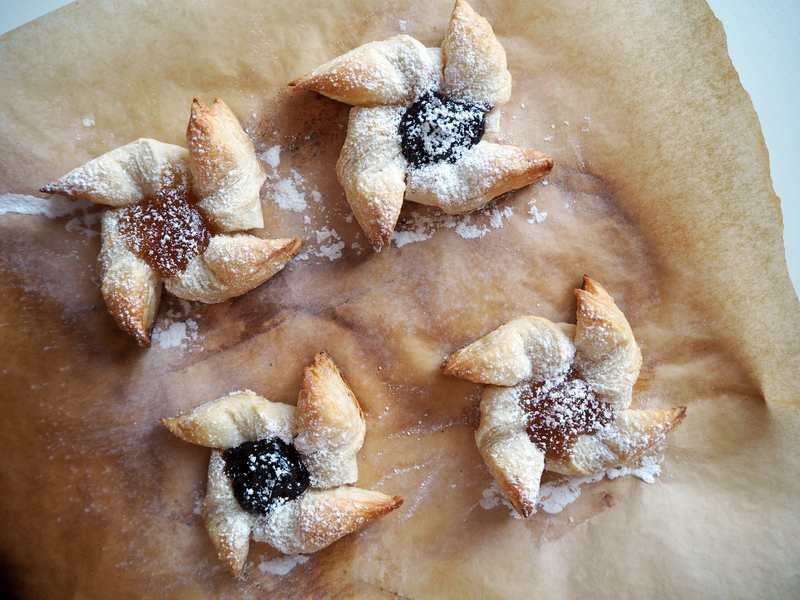 The name of this pastry, Joulutorttu, is translated as Christmas tart (torttu: tart). 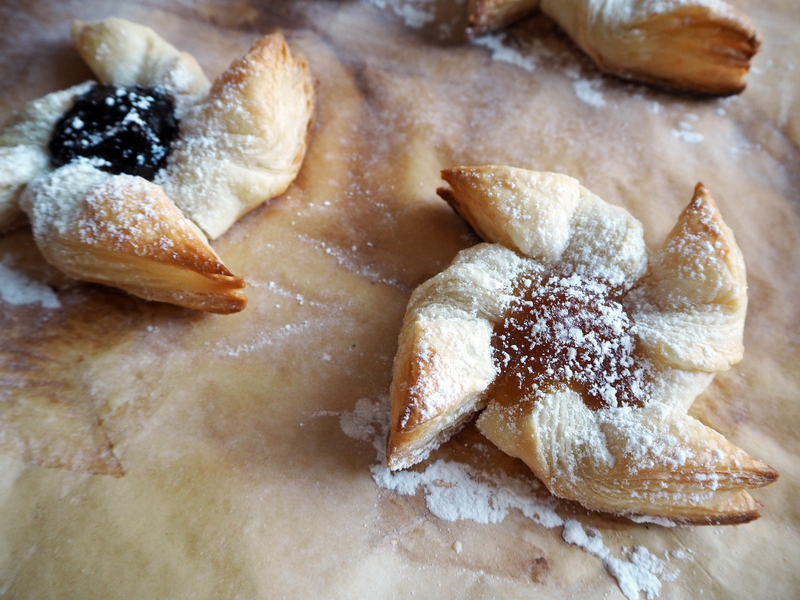 It is also known as Tähtitorttu (Star Tart). 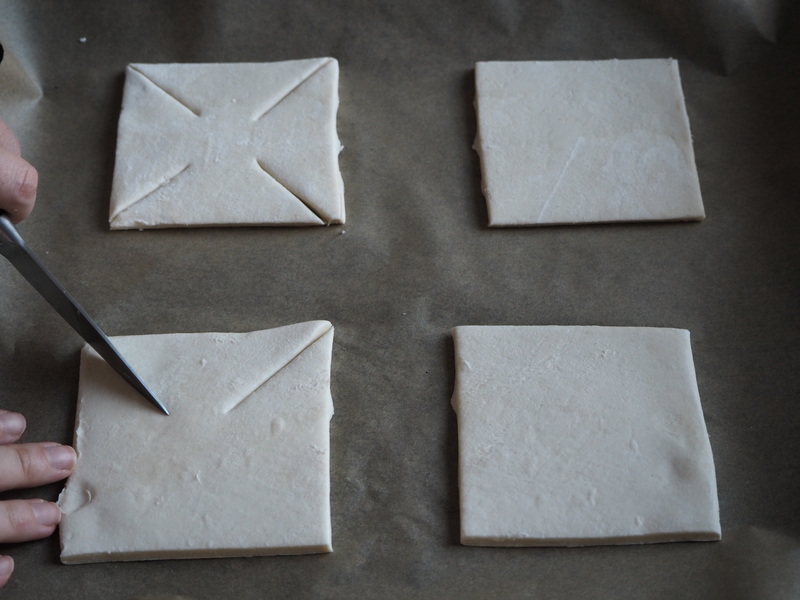 The puff pastry sheets are sold in the frozen food section of any supermarket all year round, and they are particularly featured on the front line around Christmas time. The sheets are rectangular and you just need to cut each in two equal parts. In the middle of the tarts, there is traditionally prune jam. The jam in my version (which is the easier version) stays on top, in another version the pastry is folded over the jam in the middle. 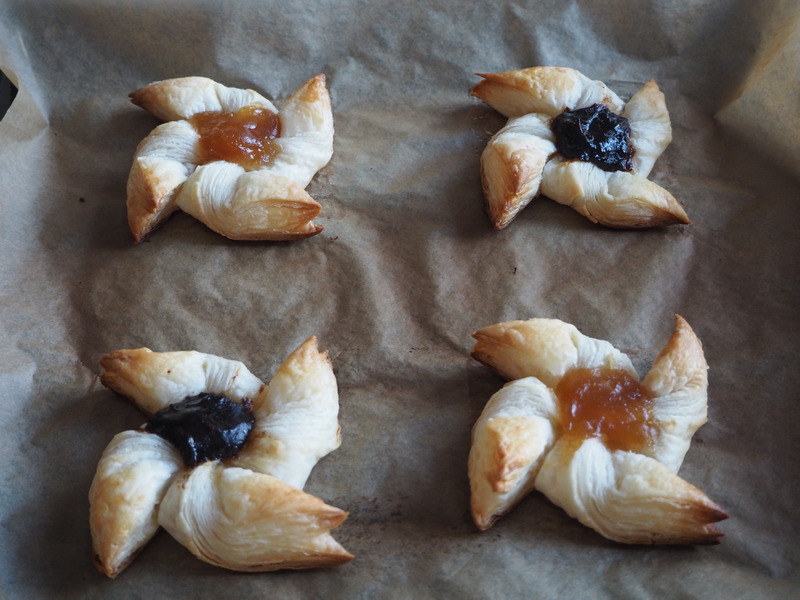 For this recipe, in order to try something new, I also used apricot jam for half of the tarts. 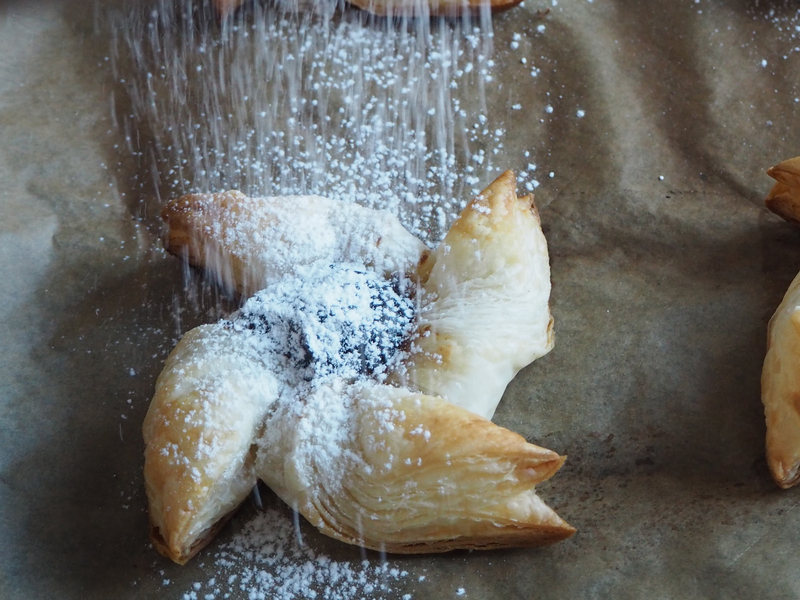 The stars are dusted with powdered sugar once they are baked and you can decide the amount of sugar coating as you like. If you don’t have such a sweet tooth you can dust them with just a hint of sugar. 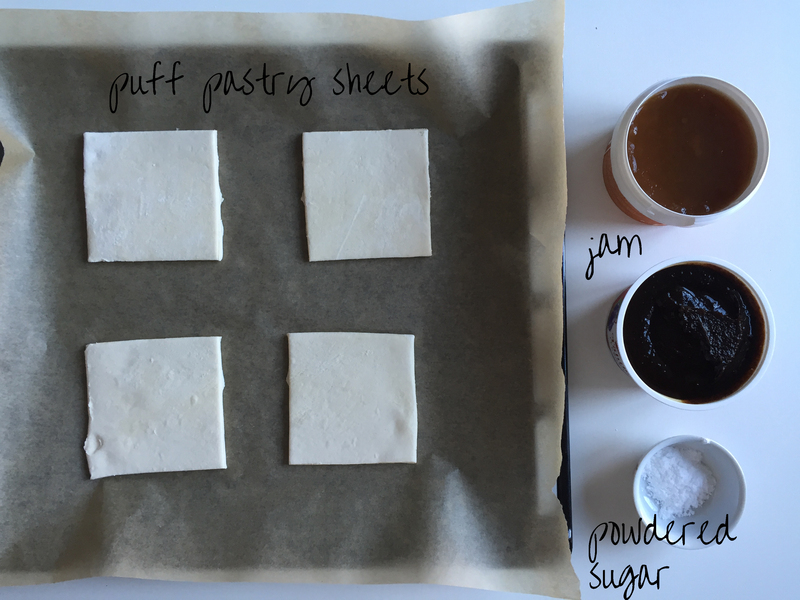 Actually, you can even completely take the sugar out of the recipe – I once left them without sugar coating because I had forgotten to buy powdered sugar, but they tasted just fine! 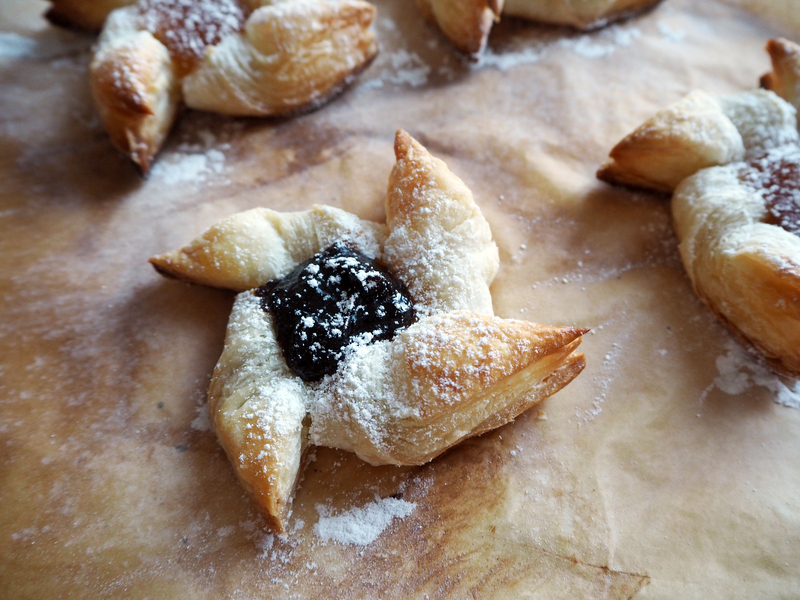 Oh, and one more thing: You can also listen to the Finnish band Eläkeläiset’s album “Joulutorttu” while you are baking these. Check this mix on Youtube to listen to the album: https://www.youtube.com/watch?v=lNKv2-TcfC4&list=PLdyRCwyKS9xSXwvuYPLypjXtYnpXMXxXA (the list lacks the fourth song from the album, but believe me you are not missing much). Ok, off to the kitchen now! 1. 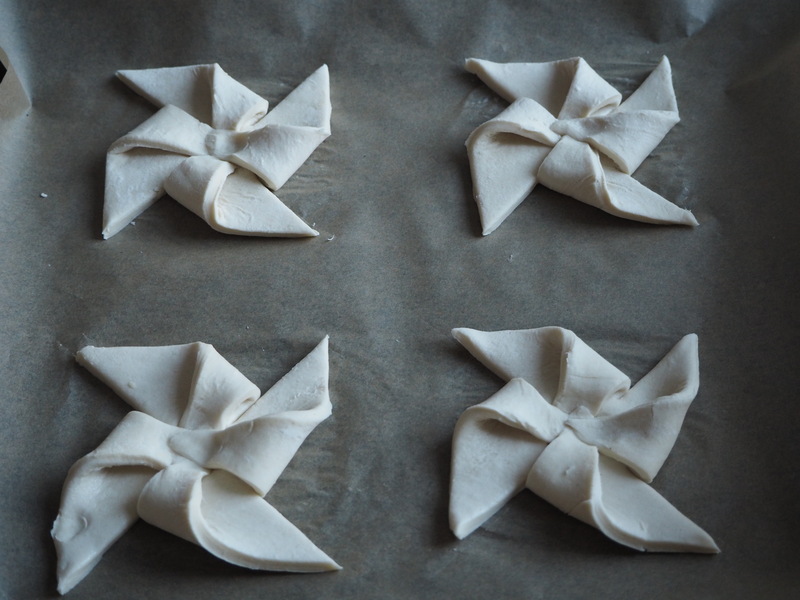 Thaw puff pastry sheets. 2. Preheat the oven to 225C. 3. 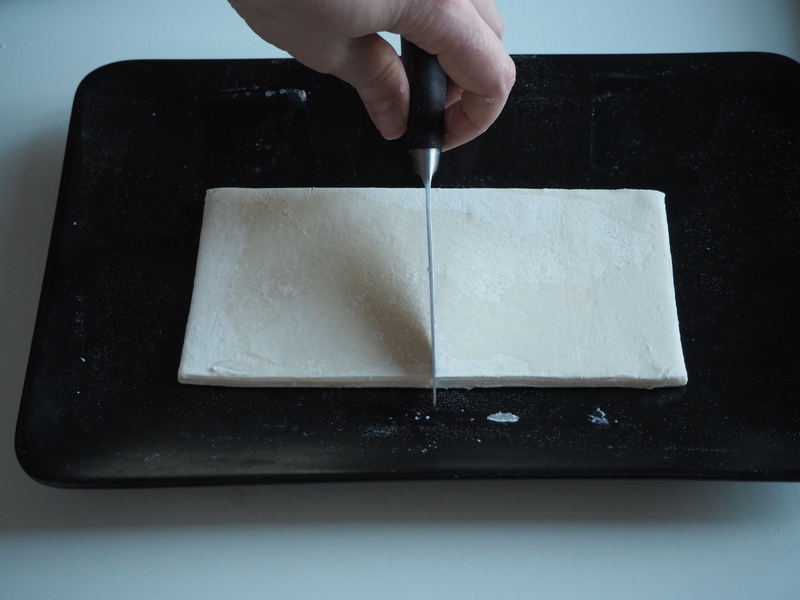 Cut the sheets in two equal parts to make square (if your sheets are already square shaped then no problem). 4. 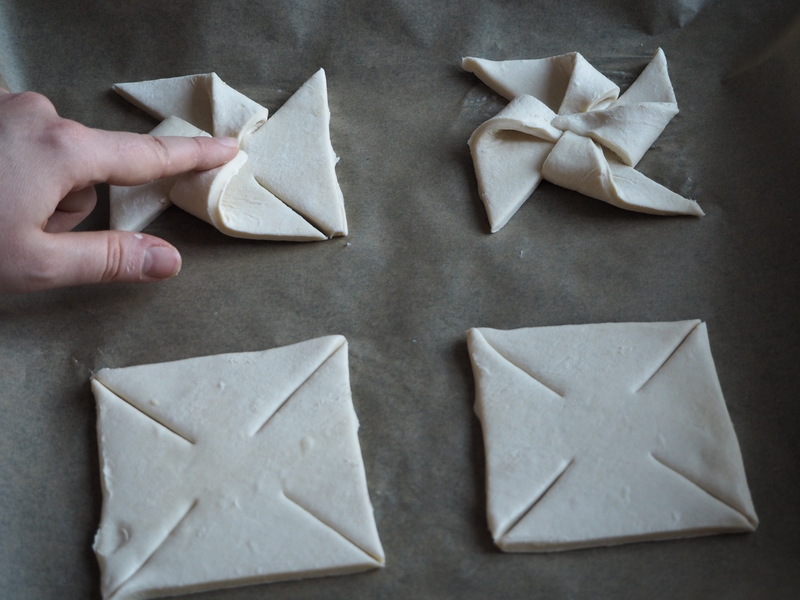 Cut and fold the pastry as seen in the photos below to make pinwheel shape. 5. Put 1 tsp / 5 ml. jam in the middle of each pastry. Put in the oven in middle rack for about 15 minutes, or until the edges of the pastries start to turn brown. 6. Once baked, take out of the oven and let sit to cool for about 5 minutes. Then do the powder sugar coating as you wish. The pastries are best eaten fresh, but if some are left for the next day, they will still be tasty too. I followed your directions and made these with my Brownie Guide Group last night. We are based in Brisbane, Australia. We had a Finnish night at Guides. The girls absolutely loved making them as they were quite simple and totally different to pastries we have in this country. They also loved the best part “eating them”. Thank you for providing the instructions. We then played a game of Molkky. It was a fabulous night. 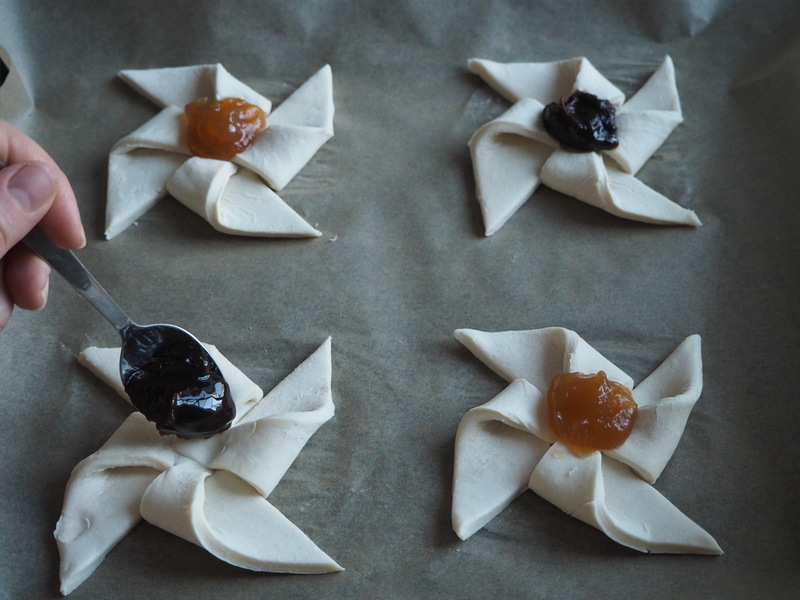 Next PostKorvapuusti – Smell The Finnish Cinnamon Rolls!